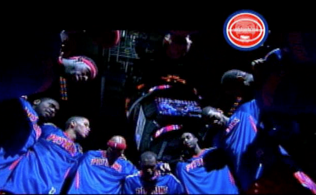 The Pistons looked as if they were going to coast a victory over the Nets Friday night at The Palace of Auburn Hills. After being up most of the game and dominating the Nets by as much as 21, the Nets surged back in the fourth quarter and the Pistons narrowly escaped with a 103-99 win. The big fella’s Andre and Greg led the way combining for 44 points and 24 boards. 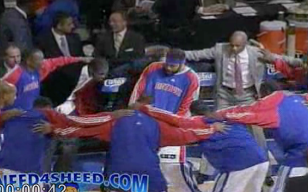 Josh Smith’s addition to this team is a work in progress. Not sure if it’s his shot selection or the change of position but it’s been rare that we’ve been happy with his play on the offensive end. Josh was 3-of-13 on the night for 10 points in 35 minutes. For those of you who have suggested that the Pistons trade him, it’s not happening and for the others who think he should come off the bench, it’s not likely that Detroit would pay that much for a someone to come off the bench. Brandon Jennings is a good player, but not a great player. He may sparkle on some nights, but when he goes up against a high-caliber weapon on the other end like Deron Williams he hasn’t been able to hold his own. Jennings was 3-of-14 for eight points with four assists on the night. He did however step up his game and only turn the ball over once. Deron on the other hand scored 22 with nine assists. Huge night for Greg Monroe who put up 22 with 11 boards in 34 minutes. It was Greg’s hook with 54 seconds left in the game that stopped the Nets run to put the Pistons up by seven. Kyle Singler has really stepped up the past few games, he hit some very important shots Friday night, especially his final two free throws to seals the victory. He finished with 16 points on 5-of-8 shooting. Stuckey is still rolling dropping 17 on the Nets in 29 minutes. Very frustrating to watch this team dominate and then let the Nets get back in the game. Another monster game from Andre Drummond who not only put up 22 with 13 boards, two blocked shots and a steal in 39 minutes he was 6-0f-8 from the free throw line. Dre’s only chink in his armor is at the line and if he can keep this up he will silence any critic he has. Dre is All-Star bound, are you voting for Andre and Greg? The Pistons with 60 points in the paint to 38 for the Nets. The Nets were without Brook Lopez who was averaging 24 the last for games for Brooklyn. The 19-4 Trailblazers at the Palace Sunday night will be a test. 3 Responses to "The Pistons Survive The Nets Fourth Quarter Rally"
Josh Smith is having a bad year. His career FG percentage is 46% but with the Pistons it is 38%. Even though his minutes are the same as the last few years his scoring and rebounding numbers are down. Hopefully he will get his act together soon otherwise Joe made a big mistake signing JSmoove. 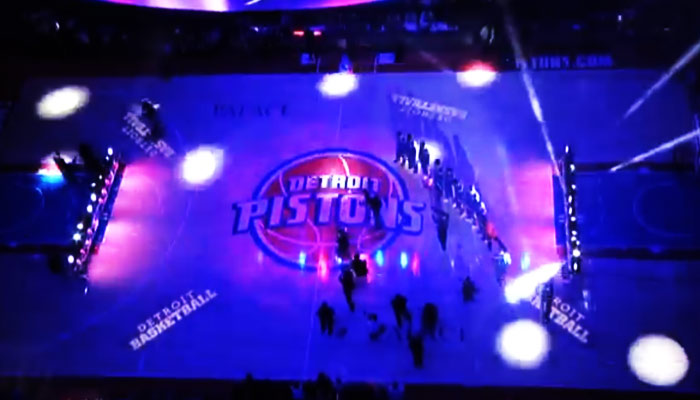 Big challenge for the Pistons today against the surprising Trailblazers. Portlandia has the best record in the West so far this year. Better than the Spurs, OKC, and the Clippers. Hopefully we can start a new winning streak tonight at the Palace. Detroit better bring their A game today because Portlandia is number 1 in the NBA in scoring,number 5 in rebounding and number 6 in assists per game.